It will spawn 1 dark chocolate after every 3 moves. First break dark chocolates and jellies as many as you can. 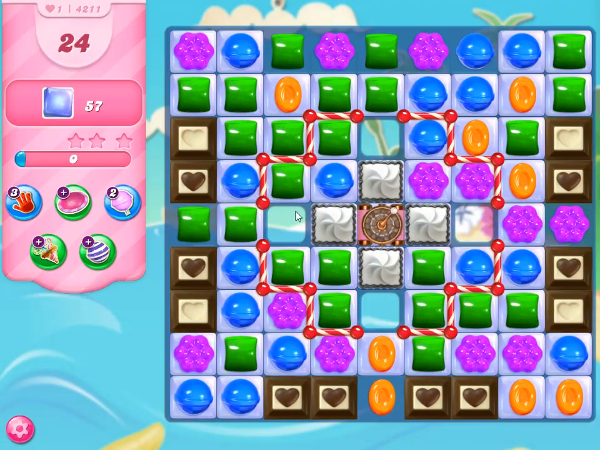 Then make lots of special candies and combine special candies to destroy evil spawner so that it does not spawn dark chocolates, to break all icing blockers, remaining dark chocolates and jellies to complete the level.